An estimated 120 million individuals are infected worldwide with lymphatic filariasis (LF), commonly known as elephantiasis. The disease leads to thickening of the skin and gross enlargement of body parts, especially legs or, in men, testes. LF is the second leading cause of disability globally. Infection with the filarial larvae is transmitted to humans by the bite of a mosquito, and mosquitos, in turn, can be infected only from the blood of an infected human. The disease can be eradicated by treating the human population of an endemic area so that mosquitos can no longer become infected. LF is the second leading cause of disability. Elimination of LF is possible with annual mass drug administration (MDA) for five consecutive years to the entire endemic population, leaving out pregnant women and children under two. Successful eradication programs have been conducted in neighboring China and Thailand. 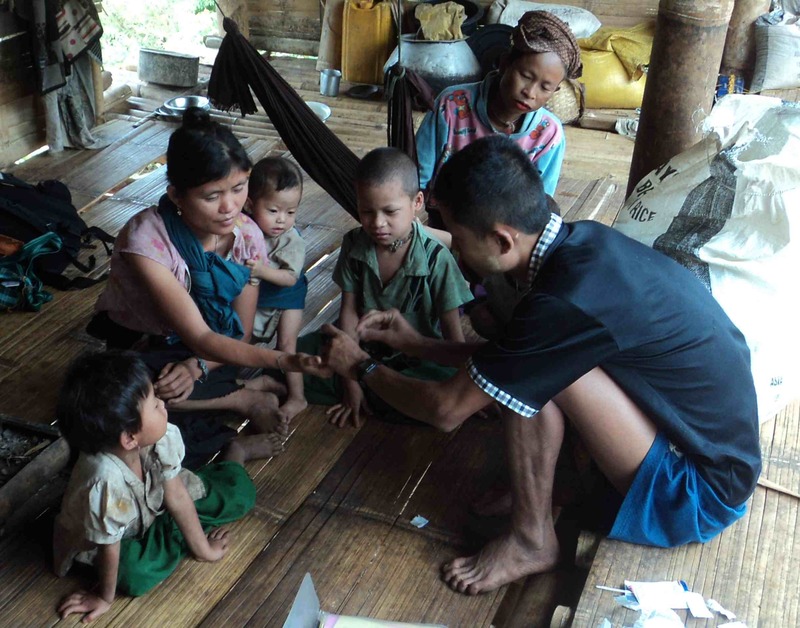 The Burmese Ministry of Health has designated Karen State as endemic for LF, but prevalence data are unavailable. 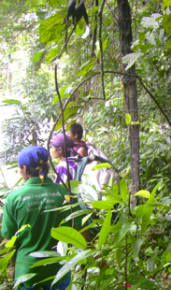 In February, 2008, KDHW and the Back Pack Health Worker Team (BPHWT) began antigen testing for LF on randomly selected samples of 100 adults in three areas of Karen state where lymphedema and hydrocele were common. At the time, the health workers also received training for treatment of LF. LF infection was prevalent in all areas, with a highest prevalence of 46% in one area, confirmed in a second screening of 600 residents in July with 42% prevalence. MDAs then were conducted in this area for a population of 3301 to 3320 in 2008, 2009, 2010 and 2011, beginning in July of each year. A follow-up survey in 2011 found that prevalence had been reduced to 22%. Many villagers declined the medication initially, but compliance has increased gradually, helped by education about the illness, about the strategy for eradication, and about the limits of side effects. 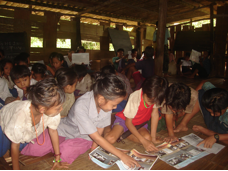 Education has been conducted through community meetings, focus groups, and distribution of posters and pamphlets. Percentages of the eligible population (leaving out pregnant and breast-feeding women, and children under two) who received the drugs in the first three years are shown in the table below. Efforts will continue to reach a higher percentage of the population. When it is determined that methods and resources are adequate for administering more MDAs successfully, the program will be extended to additional areas. To our knowledge, this is the first ever cross-border LF control program.